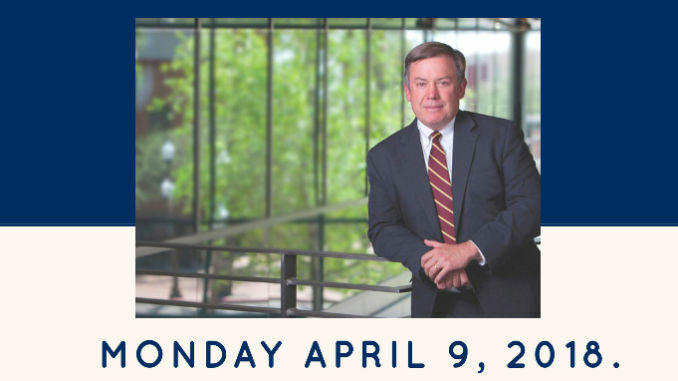 This last Monday (April 9th, 2018), Dr. Michael Crow came out to Thunderbird to talk to the students and faculty. Although his visit coincided closely with the Campus Tribute, we were told that the two were actually unrelated events. Dr. Crow visits every campus annually, and his trip to Thunderbird just happened to be planned for the day after the Campus Tribute ended. Still, his talk touched on many of the themes of the Campus Tribute, and he addressed issues important to both students and alumni. After giving a brief history of ASU, Dr. Crow talked about the future of Thunderbird and how our school fits into the broader story of ASU. He then answered questions from the students; several were given to him ahead of time, but those present at the event were also given the opportunity to ask him questions directly.